What do all the best action movie heroes have in common? Besides their ability to jump away from an explosion in just the right way that somehow makes them look even cooler than before? They all know how useful it is to have the right tools! 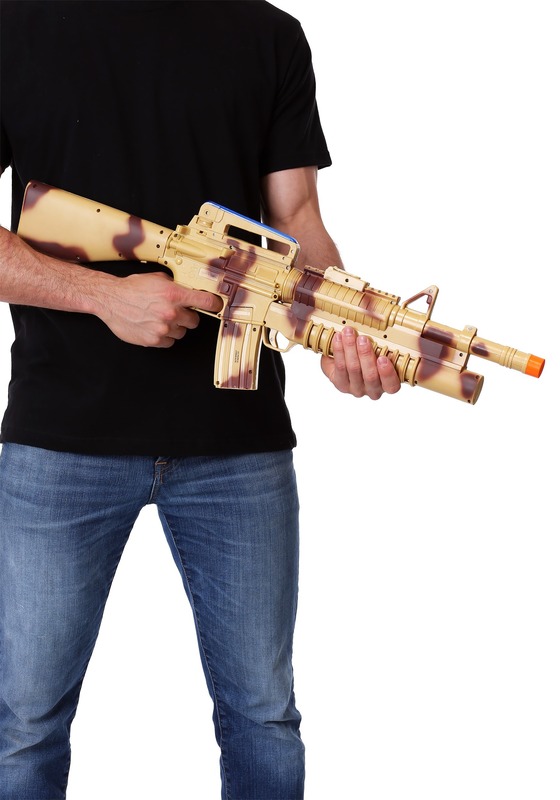 From a trusty army ranger to their favorite movie hero, this TOY machine gun rifle will take their play time from totally imaginary to totally imaginary but even more fun! If you’re looking to add some authenticity to your action hero or soldier costume, you’d better bring in the fake guns, and it doesn't get much better than this Toy Heavy Machine Gun accessory! 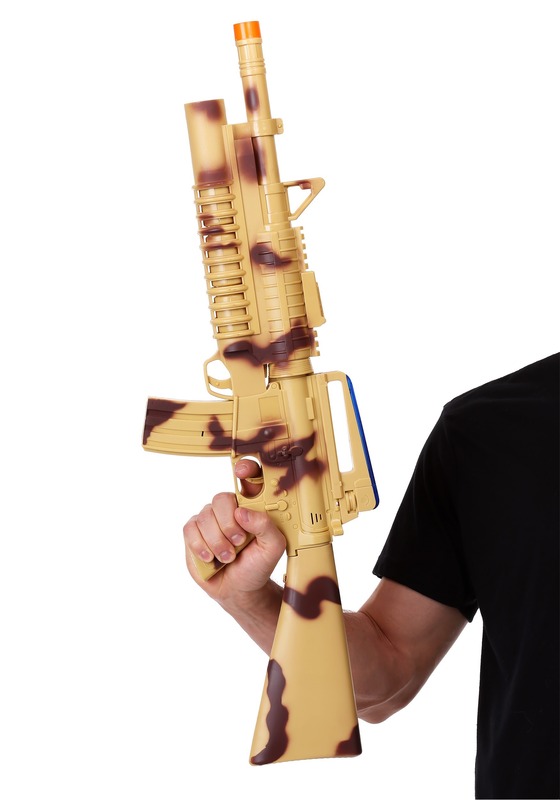 This plastic toy gun is modeled after the classic M-16 assault rifle, which has been standard issue in the military and action movies for decades. 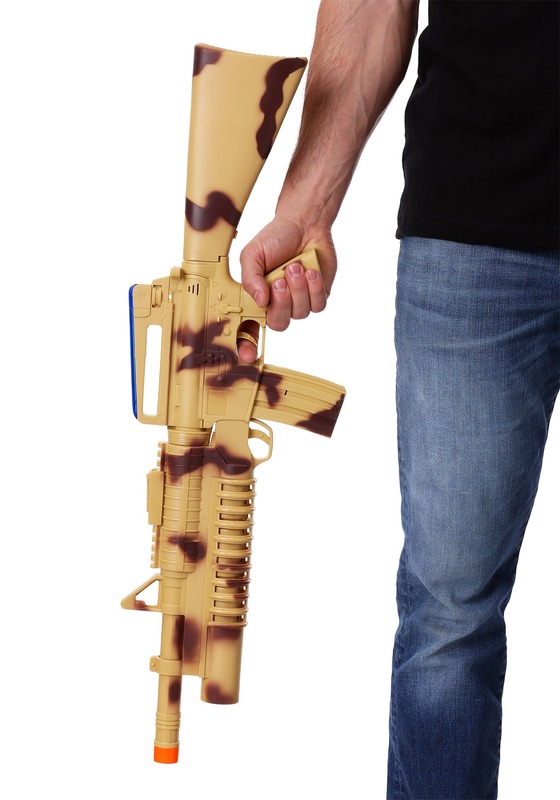 This thing features a grenade launcher, detachable stock, and a tactical desert color scheme. It also features realistic electronic lights and sounds when you pull the trigger. Last but certainly not least is the orange tip for safety. They're going to have so much fun in the backyard imagining all the secret missions they're on when they carry this fake machine gun with them. Just remember... never wave this around the unsuspecting! Always keep it imaginary and safe!